It happens in an instant. You’re driving to school, to work, anywhere down the road or highway and before you know it, your car has been hit and you’re in shock. Whether you went to the hospital for your injuries right after the accident or you sought medical care on your own in the coming days and weeks, you’ve been through a lot. Worse yet, things are getting expensive. At Lieberman Injury Law, we know that car accident cases in Deerfield Beach are one of the best ways to recoup lost funds caused by the fault or negligence of another on the road. If you’re ready to open your case, we’re here to help. How can a lawyer help with car accident cases in Deerfield Beach? When it comes to holding the responsible parties accountable for your injuries or expenses incurred by an accident, you need the help of a car accident law firm in Deerfield Beach with a proven track record of success. 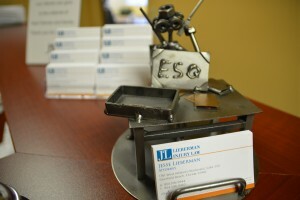 At Lieberman Injury Law, we’re here to help you! Our team at Lieberman Injury Law understands that car accident cases in Deerfield Beach can be difficult, but the right help can make all the difference. If you’re facing injuries, expenses or harm from a car accident, it’s important to consult with a car accident attorney that understands what you’re going through. Most of all, you need a car accident attorney that’s willing to fight for your best interests. At our car accident law firm in Deerfield Beach, we can help you recover from your accident and all that comes with it. Working with a dedicated lawyer can make all the difference for car accident cases in Deerfield Beach. Which car accident law firm in Deerfield Beach can help me? At Lieberman Injury Law, we’re focused on providing the best assistance for car accident cases. At our law firm, we can fight for your best interests in several ways. First, we can advocate on your behalf to your insurance company. Your car insurance company wants to pay as little as possible for your injuries and medical bills, so it’s important to have a knowledgeable professional fighting for your success. Additionally, we can assist with all steps regarding car accident cases in Deerfield Beach. Suing the party that caused your accident may help recover funds to cover medical bills, car repair costs and lost wages as well. To understand whether or not you have a case, we invite you to call our attorneys at Lieberman Injury Law. Call (954) 596-9944 for your free consultation.